Whether you love or you hate core exercises, this fitness class is for you! To put it simply, CoreFit is an excellent fitness class for anyone in Columbia who wants to tone their core, build strength, and feel better than ever before. Here in Columbia, you can always rely on Fit Central to provide you with the latest and greatest group training classes to hit the health and wellness industry. Read on to learn more about CoreFit and how it can revitalize your workout routine — and your body. It’s always easier going into a new strength and conditioning class when you know a bit about it and what to expect. Core Fit is a group fitness class that focuses on — you guessed it — your core. By using a variety of tools, weights, and moves, you’ll sculpt your six-pack, strengthen your stabilizers, and tone your back. Crunches – This core classic isn’t going anywhere. You can expect variations on this favorite core exercise, but be prepared to do a lot. And remember, it takes time to tone and strengthen. If you can’t do all of the crunches initially, then that’s OK — you’ll get there. Planks – Another favorite in the world of strengthening your core, you can expect a lot of variations of the plank. From forearm runs to chaturangas to side planks and more, planks are known for toning your abs. TRX Plank to Pike – Because this ab exercise is so common in CoreFit classes, we’ll go ahead and separate it from the “planks” category. The TRX system will be used a lot in this group exercise class to strengthen your core. On top of this, bring a good attitude! 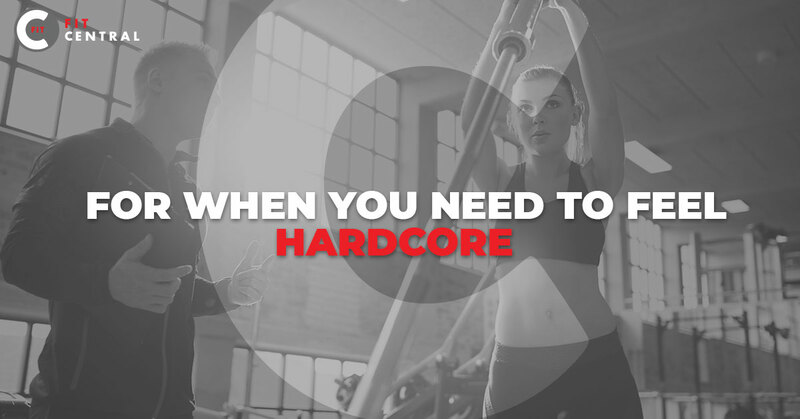 The CoreFit class is difficult, but it’s not impossible by any means. Besides, the benefits are well worth it. Your core is a complex series of muscles that has three-dimensional depth and function. It’s your center of gravity; all body movements begin here and all balance is maintained here. In this class, you work your pelvis, hips, lower back, and abs — your whole core — and you get a lot in return. You’ll also benefit from meeting other people in Columbia, revitalizing your workout routine, and burning calories. When you visit Fit Central in Columbia, Missouri, your first class is on us! We offer personal training and some of the best fitness classes, and we’re even a gym with child care. Read more of our perks, check out the class schedule, and sign up today.